This guest post from Doug Nordman is part of the “money stories” feature at Get Rich Slowly. Some stories contain general advice; others are examples of how a GRS reader achieved financial success — or failure. These stories feature folks from all stages of financial maturity. Doug is the , author of The Military Guide to Financial Independence and Retirement and founder of The Military Guide. My name is Doug, and I'm a retired U.S. Navy submariner. I'm also financially independent. I graduated from college in 1982 and spent most of the next five years in training or underwater. Like most military servicemembers, I had a steady income but very little free time. I knew how to save but I was very slow to learn how to invest. My first ten years of active duty were challenging, fulfilling, and fun — but then my spouse and I started our family. When our daughter was born, my priorities changed and I wanted to have more family time. I was very surprised to learn that the work challenges were no longer as important to me, and the 60-hour workweeks (plus months at sea) were definitely ruining our quality of life. In 1992, Joe Dominguez published Your Money Or Your Life. (It's still at your local public library.) After reading it, my spouse and I realized that we could reach financial independence earlier than the traditional retirement age. We learned more about saving and investing and began fixing all the financial mistakes we'd made over the years. In 1996, when Tom Stanley started writing his Millionaire Next Door books, we added his advice to our toolbox. My second “blinding flash of the oblivious” happened when I was nearing military retirement. I tried to figure out my next career by working through the typical self-assessment and interest-discovery tools. The discouraging results predicted that I'd make an excellent mid-level manager or nuclear engineer — pretty much how I'd spent the last 20 years. I wasn't interested in those careers (or, as it turned out, any employment at all). So, I reviewed our finances to see how much longer I needed to work. Unexpectedly, we found we were already financially independent and didn't have to pursue bridge careers. I retired in 2002 at the age of 41, when our daughter was nearly ten years old. On my first official day of retirement we gave ourselves the gift we'd been joking about for a few months: family surfing lessons. Much to my surprise, we were hooked. It's a great way to spend time with your kids, and it's an entire lifestyle! Today I surf at least twice a week and our daughter has been riding waves for over half her life. I plan to paddle out for the rest of my life. We paid sales fees for actively-managed mutual funds. We even tried to pick stocks. Fortunately, our high savings rate more than made up for those errors. Maybe my biggest mistake was staying on active duty for a pension. In retrospect, I should have left active duty for the Reserves as soon as we started our family. I would have taken a large pay cut, of course, but our quality of life would have soared. We would have reached financial independence a couple years later, or maybe I would have found an even more satisfying (and lucrative) career. I stayed on active duty out of ignorance and fear, and I paid the price. During the last half of my active duty I grimly clenched my jaw and hung on for the pension. I risked my physical, emotional, and mental health, and I have the medical records to document the process. Today I'm in the best shape of my life, but I regret staying on active duty after the fun stopped. Mathematically, of course, the most important factor in financial independence is a high savings rate (or profit margin, as J.D. calls it). It works whether that comes from a high salary or by low expenses, and it works a lot faster when both are applied. Psychologically and emotionally, the most important factor is aligning your spending with your values. You have to be willing to work for it. Your spending is bought with your life energy. Is that consumer possession or experience worth the extra weeks of labor to pay for it? That thought process helps everyone draw their personal line between frugality and deprivation, and it leads them to a fulfilling life on the path to FI. Retirees have to deal with decades of inflation and affordable healthcare. A military pension covers both of those concerns, but the vast majority of military retirees still jump straight into a bridge career. Most military families never realize that they can save for financial independence. Only 17% of servicemembers earn a pension, but that's not necessary. The other 83% of the nation's veterans can still reach financial independence from their own savings, even if they only served one obligation and never earned a military pension. Their military skills will serve them well during their civilian career, and I've met thousands of veterans who are living proof. Nowadays, I show servicemembers (and their families) how to make their best choice. They'll reach financial independence either way, and they'll do it without postponing their happiness. I wrote The Military Guide to Financial Independence and Retirement with the help of over 70 other military servicemembers and veterans at Early-Retirement.org. 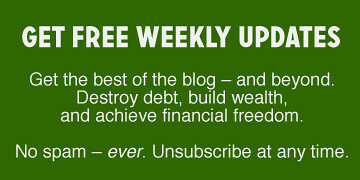 I started The Military Guide in 2010, and we've helped thousands of readers reach their own financial independence. I donate all of my writing revenue to military charities — over $12,000 so far! I've been retired for sixteen years, and today our life is better than ever. Our net worth has grown beyond our wildest expectations (despite two recessions). Our daughter graduated from college in 2014 and started her own Navy career. 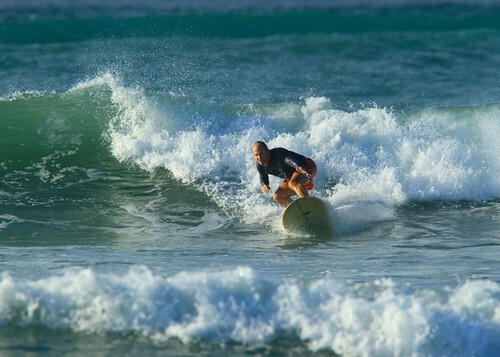 She and her fiancé keenly appreciate the benefits of financial independence — and surfing. I'm writing these paragraphs in Spain. Our daughter is stationed on a U.S. Navy ship that's homeported in Rota, and my spouse and I are visiting for the second time this year. The military still has 60-hour workweeks but we find the time to travel around the country together, enjoying the sights and experiences. When she's at sea, my spouse and I do our own “slow travel” by staying a few days in different Spanish towns to enjoy the sights and really experience their culture. This year we'll spend six months away from our Hawaii home. The Spanish surf is a lot colder, but the family time is still worth it! J.D. 's note: Doug is a fascinating fellow and has been participating in the financial independence community for a long time. If you'd like to learn more about him, check out his appearance on the Radical Personal Finance podcast, during which he talks a lot about the history of the early-retirement movement.